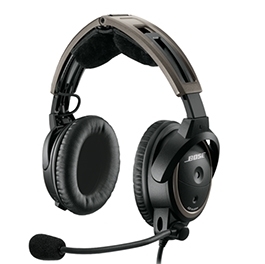 The BOSE A20 Aviation Headset with Bluetooth is a 6-pin plug equipped with a 67" cable including an electret microphone with a Bluetooth control module. One end of the straight cable has a single-point connector to the headset, while the other end has a self-latching plug for insertion into the panel connector of an installed wire harness. 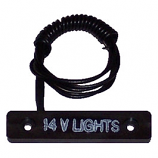 This specific model is engineered for increased noise reduction and clear audio with active equalization. Customizable audio prioritization controls lets you mute an audio signal when receiving a communication. 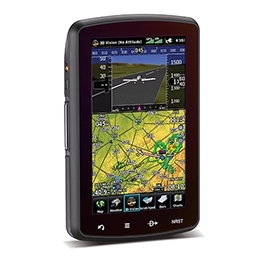 The Auxiliary audio input with Intercom/AUX priority switching, is ideal for GPS and traffic warning systems. 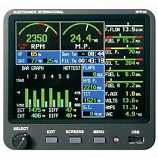 It also features a flexible power circuitry with auto-on that switches to and from battery power and aircraft power.